I'm working in an office full-time again and I love the job. But the cooking of dinner... meh. The family has been pitching in to help, but now they're getting busier, as well. If you feel the same way, then there's a double bonus in store for you this Friday: head over to St. Alban's from 3:30 pm on and grab dinner. The second bonus? You'll help to raise funds for a new multi-media studio at the club. 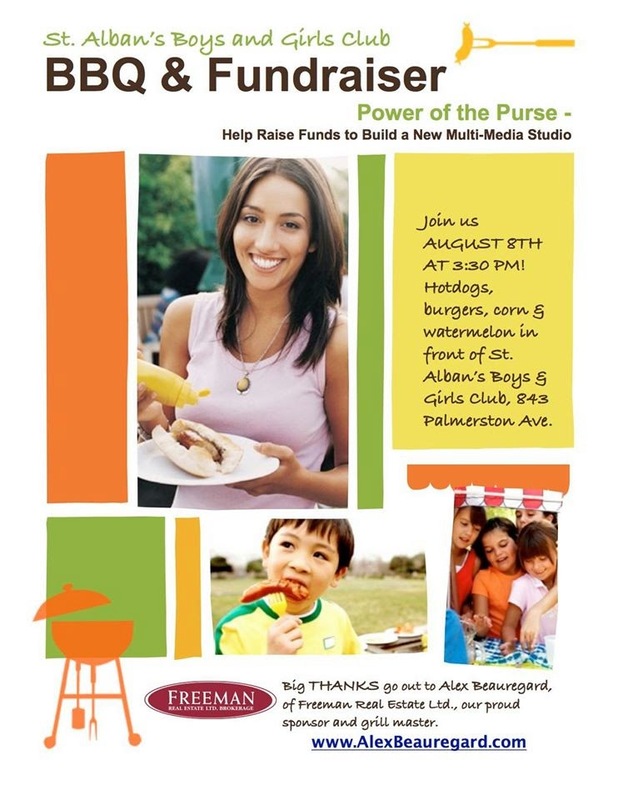 "Join us Friday, AUGUST 8TH AT 3:30 PM to help St. Alban’s Boys & Girls Club raise the funds to build a multi-media studio. No need to cook dinner, we'll have hotdogs, burgers, corn & watermelon in front of St. Alban’s Boys & Girls Club, 843 Palmerston Ave. -- the fun starts at 3:30 pm. This multi-media studio will have equipment and software to provide opportunities for youth to develop skill sets in film and music production, recording, audio visual technical work and other important professional paths. The studio will be accessible to all youth in our community. Help support a worthy cause and a welcome addition to our community. See you for dinner on Friday!" PS I know, I know -- no end time listed. But it's got to go through dinner hour, no?